The Hamilton Beach 6126-650 blender container has a 64-ounce capacity and is made of polycarbonate. Its lid has a center that can be removed to add ingredients during blending. It is stackable to save space, and the built-in handle provides a sturdy grip when lifting. For efficient blending, the Hamilton Beach 6126-650 container has stainless steel blades. "Unlike one of the top brands in the market, it doesn't require a piece of device called tamper for stirring the ingredients while in process. The..."
"Unlike one of the top brands in the market, it doesn't require a piece of device called tamper for stirring the ingredients while in process. The wave action system works well in process. 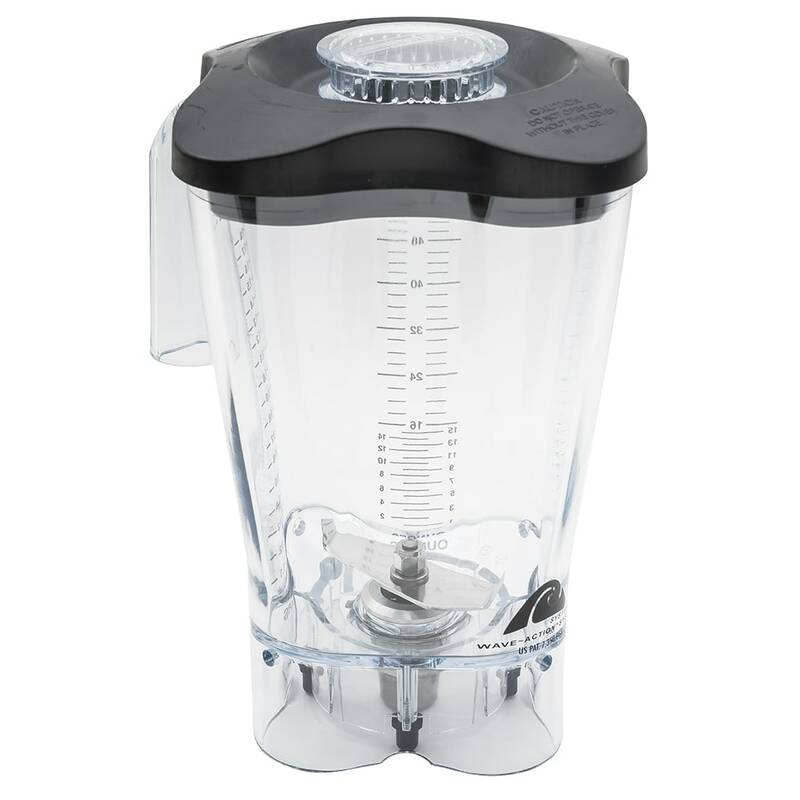 This 64 oz Poly-carbonate Tempest Blender Container, not only does well for commercial use but very well for home use too."